Time After Time Inc, an educational non-profit focusing on education through the production of historical events is partnering with Ravenworks of Westgate Mall to present the 2nd annual production of “Her Majesty’s Winter Renaissance Faire and High Tea” to be held on Dec. 5th and 6th at Whitney Square Mall, in Her Majesty’s Castle at the old “Marshall’s” building at Whitney Way and Odanna Road. The event producers take the 22,000 square foot space, and re-create a Renaissance Castle for two days, filled with musicians, dancers, swordsmen, vendors, food and fun. 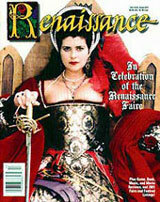 There will also be a Renaissance Costume Contest, judged by Queen and Court, with winners announced on Sunday afternoon. Acts and actors include the Weno Gypsy Belly Dancers, The Guild of St. George, The Guild of St. Michael’s, The Great Northern Horde, The Murder Sisters, Shakespeare on the Edge, Randal the Scot and many more. Event hours are : 10am-8pm each day. Event admission is $7.00 per day. In addition, a catered “High Tea” is being held on Saturday at 2pm at Her Majesty’s Castle., featuring Renaissance food, drink and entertainment, held in company with Her Majesty, Queen Elizabeth 1st and her court of Noblemen and Ladies. Admission to the tea, which includes a full meal, entertainment and court intrigue, is 32.00 per person. A Vegetarian alternative is available upon request. Seating for this event is limited to 50 persons. Pretty section of content. I simply stumbled upon your site and in accession capital to say that I get actually enjoyed account your blog posts. Any way I'll be subscribing to your augment or even I fulfillment you access consistently quickly.